on fresh, ruby red strawberries. $1.99 for 4 lbs. Seriously. That’s incredible. 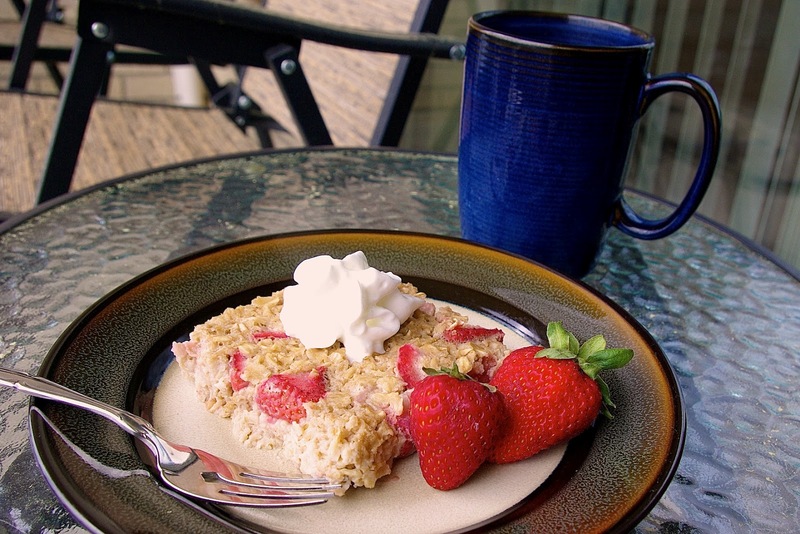 this baked oatmeal is reminiscent of the ‘Strawberries and Cream’ flavor, but So. Much. Yummier. sweet, with the delicious addition of juicy fresh fruit. YUM! 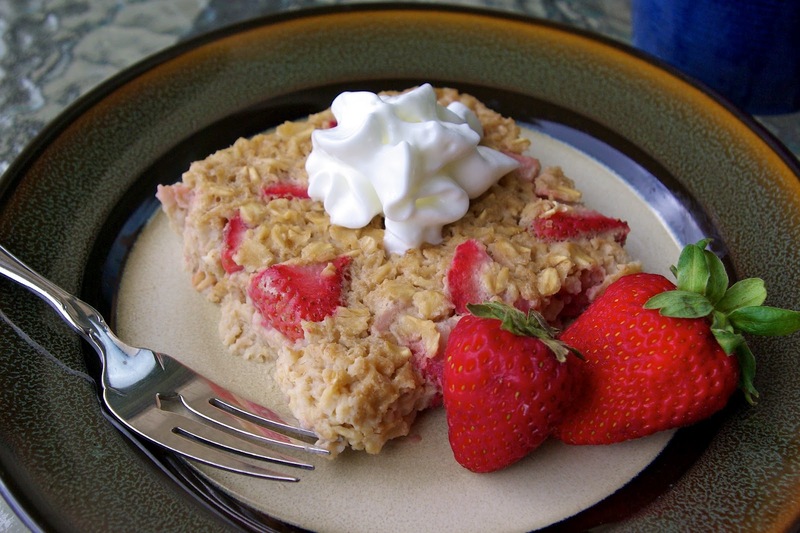 tasty on the go breakfast that will keep you full for hours. was spot on, though the red color of the strawberries was not quite as vibrant. What is your favorite on the go breakfast? Lightly spray a 9×13 inch baking dish with cooking spray. In a large bowl mix together all ingredients until well incorporated. Bake in oven for 25-30 minutes or until set.